If there’s a technology buff in your life, they’re probably buzzing about Apple’s iPhone 6, set for unveiling Sept. 9. But personal finance nerds will be watching for a built-in mobile payment system – a digital wallet – that would let users dispense with all their plastic on the next shopping spree, according to multiple reports. Although the specifics about the new handset haven’t been released, it’s hard for the famously secretive Apple to keep things under wraps these days. Based on leaks, speculation abounds about the iPhone 6’s features and how they may change the way consumers pay for what they buy on those trips to the mall. When it comes to getting consumers to trust technology with sensitive financial information, security holds a lot of weight. According to a study from Thrive Analytics, fewer than a third of people actually use digital wallets primarily because of concerns that critical data like account numbers may be stolen. Yet mobile payment systems can significantly decrease fraud. “From a consumer standpoint, mobile wallets, or mobile payments in general, offer a more secure way” to pay, says Richard Crone, founder of industry adviser Crone Consulting. Most credit cards used in the U.S. contain key information on a magnetic strip that can be read at the cash register and can easily be copied surreptitiously, becoming a gold mine for tech-savvy. “You can’t get rid of that risk until you get rid of the card, and that’s one of the promises and a huge opportunity for mobile payments,” Crone says. The iPhone 6 will reportedly use technology such as Apple’s Touch ID fingerprint scanner to provide more privacy and an additional layer of security. Consumers aren’t likely to use a payment method if mobile operators, card-issuers and retailers don’t accept it. Apple’s challenge is to create a system that these players will employ, letting phone owners take advantage of their handset’s digital-wallet technology. “To be successful, Apple’s wallet must have a compelling merchant value proposition – like lowering a merchant’s operational costs or helping to drive more revenue – in order to win merchant acceptance and preference at checkout,” Denee Carrington, a senior analyst at Forrester Research, says in a blog post introducing a report on the new iPhone model. The study discusses the importance of getting retailers to let consumers use its payment system. A key element in that effort may come in the form of agreements Apple has reportedly engineered with Visa, MasterCard and American Express. If these three major credit card providers are on board with Apple, as Bloomberg News has reported, its mobile wallet may quickly gain widespread acceptance. By comparison, Google Wallet hasn’t caught on after more than two years in the market, according to Bloomberg Businessweek magazine. Partly, that’s because of early technology glitches and questions raised by some card issuers and service providers. Since Apple owns the iOS operating system, it will be easier to add the payments technology into other new iPhones and other mobile devices. Apple supplied about 42% of all smartphones in use today, which may make it easier for the company to broaden the base of any payment system it introduces, according to a Quartz report. And the company already has a retailing relationship with more than 800 million people through its iTunes and other online stores, giving it a big head start. The mobile payment industry hasn’t settled on a standard technology to facilitate interaction with merchants’ electronic registers. Competing systems have used near field communication (NFC) chips, barcodes and Bluetooth devices to make those connections. Apple designed NFC technology into the iPhone 6 to connect its mobile wallet to checkout registers, according to the Financial Times. The system enables wireless data transfers, letting users pay with just a tap of the phone. Big names such as Google and eBay, with its PayPal unit, have offered digital wallets, as have lesser known companies such as Square and startups including Softcard, Coin and Loop. Yet only 7% of consumers at most use their phones to make in-store purchases, according to a 2014 report from consultants at Bain & Co. So even though Apple won’t be the first to jump into the mobile payments fray, the market remains wide open. A key advantage may be the company’s consumer appeal, along with the nearly 1 billion people who buy from its online stores. 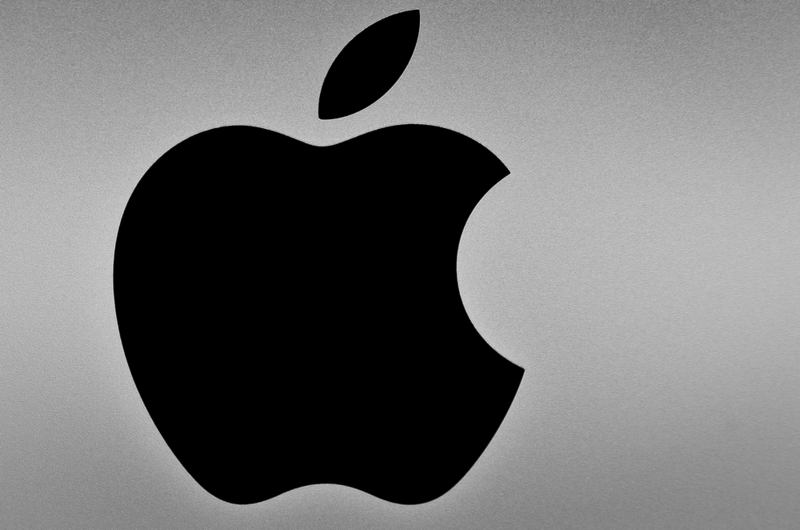 In other words, brand loyalty may give Apple’s mobile wallet the momentum to take off. Consumers want more convenience from digital wallets, such as receipt tracking and financial management tools, before they’ll pay for and use the systems, according to a report from Accenture consultants. Apple may have taken heed of such concerns. The iPhone 6 wallet may store digital coupons and support “virtualized currencies” such as Bitcoin, Business Insider has reported, based on patent filings the company has made. The buzz will come to a head on Tuesday, when Apple takes the wraps off and shows the world what the iPhone 6 can do. Whether a new payments system on board can win over skeptical consumers and merchants remains to be seen.